Longline Environment provides services, solutions and information for water quality issues and aquaculture. We position ourselves to assist aqua farms, water managers, regulators, local communities and other water related supporting sectors. How can Longline help? We provide modelling capabilities for shellfish, shrimp and finfish aquaculture. We also provide consultancy for carrying capacity and water related issues, development scenarios, regulatory requirements, nitrogen credits, Integrated Multi-Trophic Aquaculture, etc. 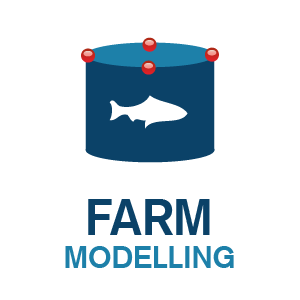 Aquaculture Modelling helps offshore and onshore fish and shellfish farms analyse the sustainability of their operations within the context of carrying capacity. Outputs such as growth, dissolved oxygen, chlorophyll, economic optimisation through marginal analysis and eutrophication control, provide insights about how to maximise farm efficiency. Our environmental consulting consists of the interpretation of our modelling results and provision of management recommendations. These recommendations include different scenario analyses (e.g. effects of changes in water temperature on aquaculture), carrying capacity and water quality management, regulatory issues and other cutting edge solutions for a sustainable management. Our data solutions include the use of technology to support our modelling. 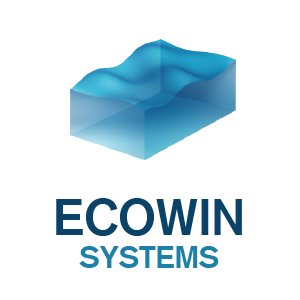 We develop software for ecological modelling, which requires large volumes of data to drive our models. We use custom databases, data entry and data processing. We also use of imaging technology such as Geographic Information Systems (GIS), ArcGIS, bathymetry and other supporting imaging solutions. Intregated Multi-Trophic Aquaculture (IMTA) is popular in Asia and consists of cultivating species of different trophic/nutritional levels in the same system. Integrated Multi-Trophic Aquaculture (IMTA) systems combine fed aquaculture such as shrimp or fish with extractive inorganic aquaculture of seaweed and extractive organic matter of shellfish. Elements of the Longline team have participated in several projects analysing IMTA culture structures in China. We can assist you in improving the water quality around finfish aquaculture operations through the use of IMTA, as well as providing a secondary cash-crop. Nitrogen Credits have attracted the attention of water managers, regulators and shellfish farmers. Shellfish remove nutrients from water bodies, providing an ecosystem service. The FARM model calculates the amount of nitrogen removed by each individual shellfish farm. There may be scope for shellfish growers to supplement their income through the implementation of nitrogen credits. Aquaculture Insurance for aqua farms can by provided by specialist insurance companies through the London insurance market offering a variety of coverage options. Aquaculture insurance can aid stakeholders achieve financial stability and mitigate the downside risk as a result of external factors. If you would like to know more about how Longline can help you or have any questions talk to us.